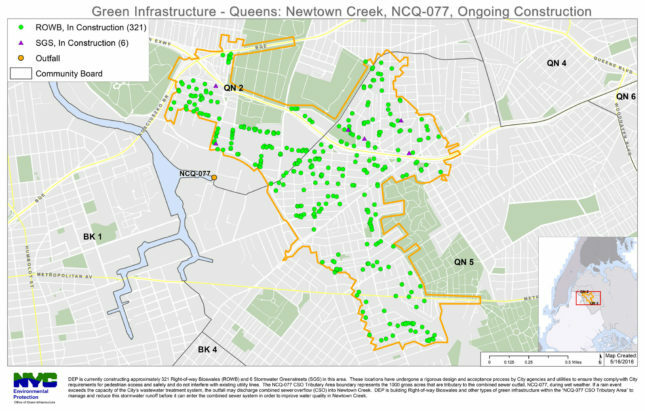 The City of New York has begun construction on a new green infrastructure project that will place over 300 rain gardens in the Queens neighborhoods of Sunnyside, Maspeth, and Ridgewood. 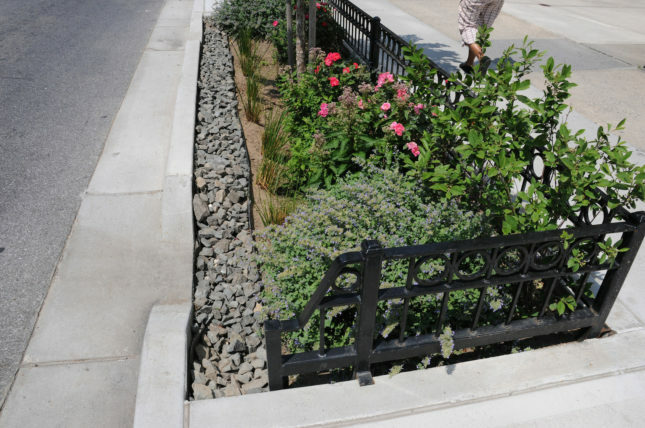 According to the Department of Environmental Protection (DEP), the specially-designed curbside gardens will be able to collect 2,500 gallons of stormwater each for a total capacity of 38 million gallons each year. Along with beautifying these three neighborhoods the rain gardens will help combat sewage overflows into Newtown Creek, an estuary between the boroughs of Brooklyn and Queens that is one of the country’s dirtiest waterways and a designated Superfund site. The project will be funded by a $7.3 million dollar investment from the DEP, which manages New York City’s water supply, and will be managed by the Department of Design and Construction. Rain gardens, also known as bioswales, have also been constructed in the Brooklyn neighborhood of Gowanus to reduce pollution in its famously filthy canal. The DEP’s standard rain garden design involves digging out the garden to a depth of five feet, then backfilling with a mixture of stone and engineered soil. Hardy trees and plants absorb water trapped in the soil mixture, providing the added benefit of greener streets and cleaner air for residents. These gardens mimic natural environmental systems and make good use of what would otherwise be problematic wastewater. 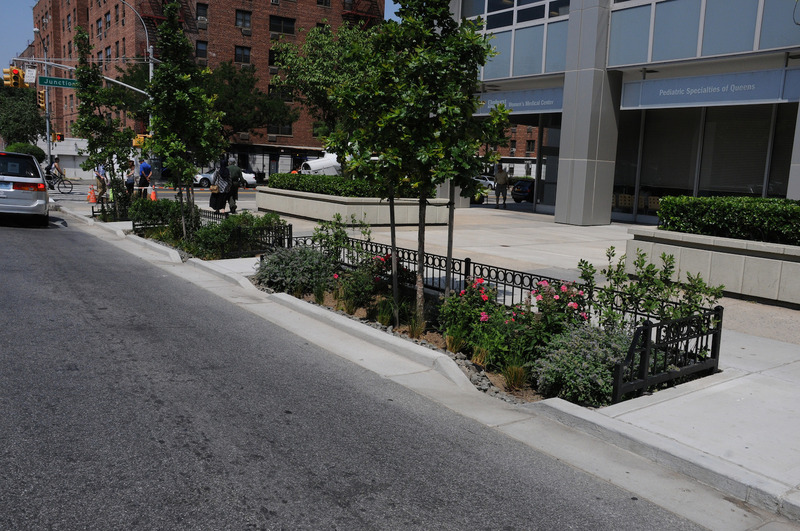 The city has already constructed approximately 1000 rain gardens, with another 1500 currently under construction. This and other green infrastructure projects are a key part of the city’s $10 billion initiative to improve its wastewater treatment system and reduce overflows, improving the health of New York City’s harbor and waterways. November 6, 2018 Amazon to split HQ2 between New York and Virginia, but can they handle it?